Having some sort of anti-virus software installed on your PC is a great way to ensure that your computer is secure. Sometimes though, infected files are able to make it passed the security layering of the anti-virus software and enter your database undetected. To make things more confusing, some people run their anti-virus software on a regular basis and manage to get a virus on their device, while some people don’t use anti-virus and manage to stay safe. Some people say that precaution is better than a cure. Anti-viruses can be an effective tool to fight a virus – even if it has made its way onto your computer. Taking precautions will make sure that your device stays safe. 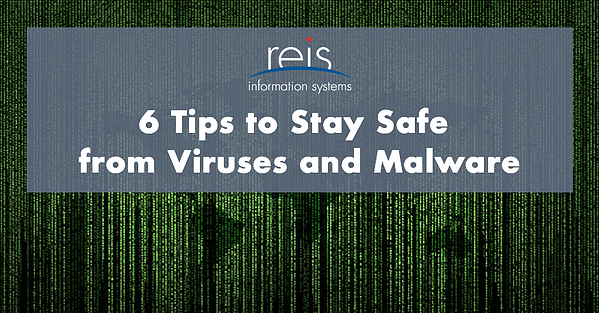 We have put together a few ways to reduce your chances of being targeted by malware or viruses. Keep in mind that your security depends on how concerned you are about it. A few examples include Chrome, Safari, Firefox. Since most computer viruses come from a website visited on a browser, make sure your browser is always updated to the latest version. An old version of a browser isn’t secure as new threats come out every day. App developers are constantly releasing updates that include bug fixes and security improvements. Internet browsers are used for everything - from banking to online shopping to social media. The last thing you want is an attacker having a backdoor into your computer, which gives them access to keystrokes and login details. Try to stay away from Internet Explorer as this browser has been abandoned by Microsoft developers. It has now become a popular choice for hackers. New browsers use https:// and check for the genuineness of a website’s certificate. This feature is not present in old browsers. Running a new version of Chrome on an old Windows version isn’t recommended either. An old OS isn’t updated by a developer and does not have security features to handle modern malicious malware. Even though cloud-based data sharing services have been gaining popularity and will likely be the primary mode of transferring data in the near future, there’s still room for USB devices to improve. Until these devices are gone, you should keep scanning them before using them. Try to avoid enabling the “autorun” feature on USB sticks, memory cards, or your cell phone since it’s best to scan before using them. With having autorun on, a malware that’s present on a USB can gain access to a PC as soon as it’s plugged in. Windows 8 and later editions allow you to disable this. Also, it’s recommended that any files that are downloaded should be scanned for malware. Maybe you’ve seen pop-up advertising asking you to claim prize money or that you’re the lucky visitor that can claim a prize. Ignore these! The same goes with fake download buttons; especially the ones that can be found on software download websites. Users should always be wary of fake download buttons on websites. These buttons usually make their way onto the platform through an advertisement banner. These buttons generally look out of place as they’re generic and don’t match a website’s theme. The buttons could lead you to downloading malware or corrupted software. If you’re ever in doubt of the genuineness of the website and can’t find the real download button, avoid it. Google offers a report that identifies a list of bad websites that should be avoided. You can also check a website’s health via Norton’s online Safe Web tool. If your device has a complete security suite/internet security suite, you’re covered. There are other kinds of pop-ups that emerge and are from the bottom right of the taskbar – these usually relate to a notification of the anti-virus. Make sure to ignore any notifications that might come up when you haven’t started a scan and be worried if notifications are coming up without having an anti-virus on your computer. Make sure to get your PC cleaned up as soon as possible. Malware coming to you in a forwarded email attachment is common and usually comes from a spoofing or phishing email that will try to trick you to give out personal information on a fake website or lead you to download malware/ransomware. Outlook and Gmail usually protect you from these scam attempts since the software is able to identify and filter emails and put them into spam folder. Users have to be careful not to preview emails that don’t seem legitimate. In particular the generic ones which are sent out to a group. Buying an antivirus tool that has an email scanning module is a good tool to adopt to protect yourself. It’s smart to make sure that you download any software from the developer’s official website or a legitimate source in order to avoid any threats. 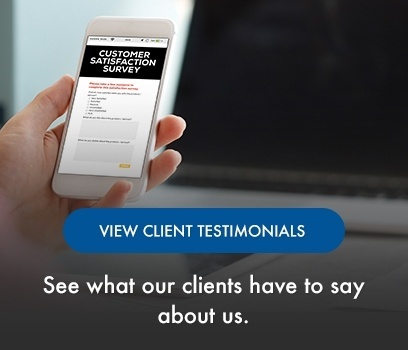 Going to the developer’s website ensures that you will receive the latest version of the software you’re looking for and that it’s secure. Most OS’ offer their own app stores that only keep a secure database of apps. Check there for required software if you don’t feel like searching the web. Sometimes you might come across a downloaded media file that doesn’t play on your regular media player and requires additional software to be downloaded in order to play them. Delete these files immediately. These aren’t the files you intended to download. They’re corrupted fake files usually in the form of a video file but can be audio or game files. These go undetected until you’ve downloaded and tried to run them once. They request the user to download a certain software to run the file – which can be infected. You can try to run any audio or video file on VLC, which supports all current codecs. If the file doesn’t run, then it’s a fake file. Keeping your PC secure doesn’t stop at downloading an anti-virus suite, it also depends on your usage. Since you want to ensure that you don’t run into a security risk, we recommend that you follow these steps. Feel free to comment below and if you followed any of these tips before you read this blog post.